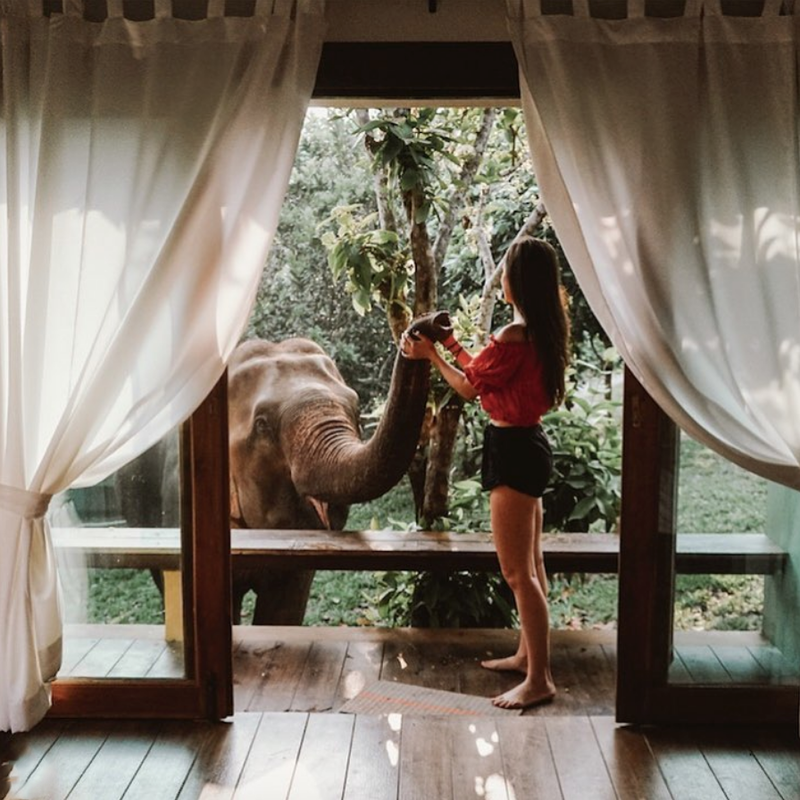 Live with elephants in comfort and style while supporting human rights in our hospitality vocational training program Eco Lodge. 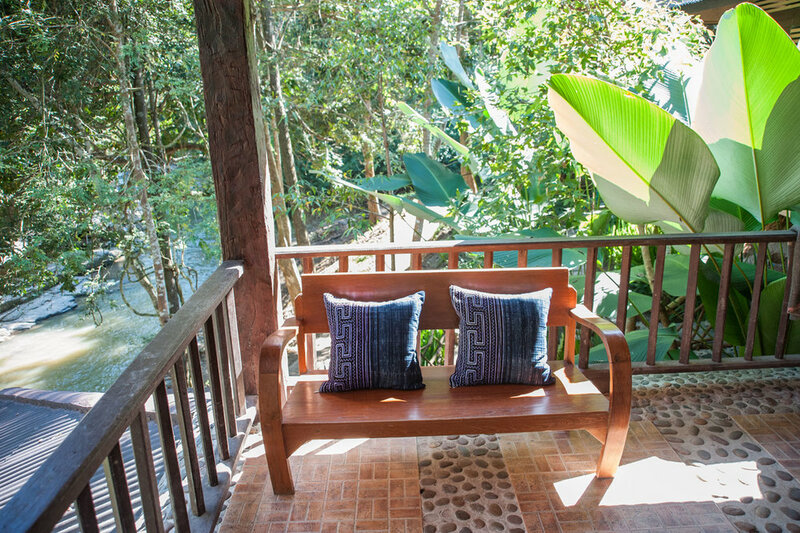 Located 1 hour from Chiang Mai, the Chai Lai Orchid is a beautiful nature retreat with 14 riverside bungalows, nestled beside the Mae wang river and surrounded by lush tropical forest. 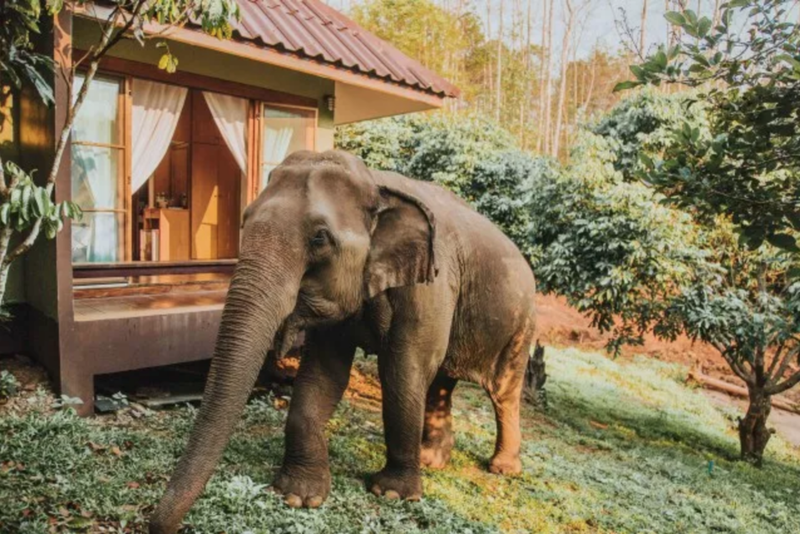 Live with Elephants in comfort and style. 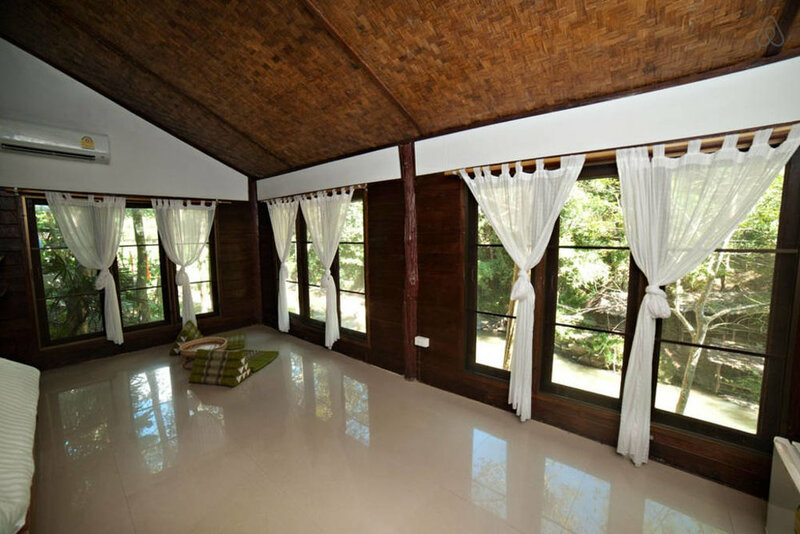 This riverside eco lodge features private grounds are home to a family of 12 Asian elephants. 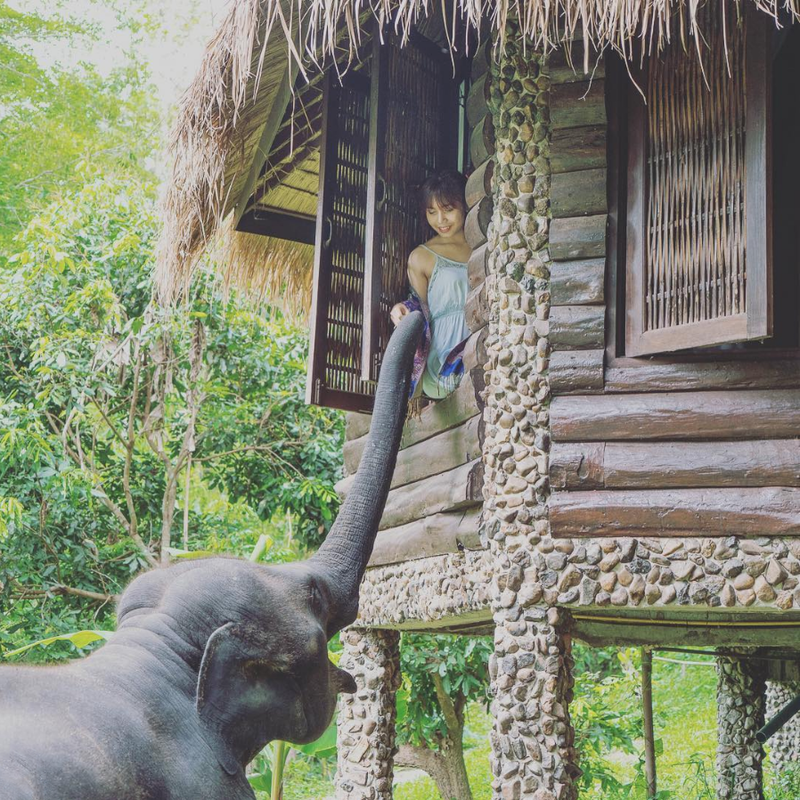 Spend your days hiking to secret waterfalls, lounging in hammocks, tubing on the river, or volunteer with beautiful Asian elephants. 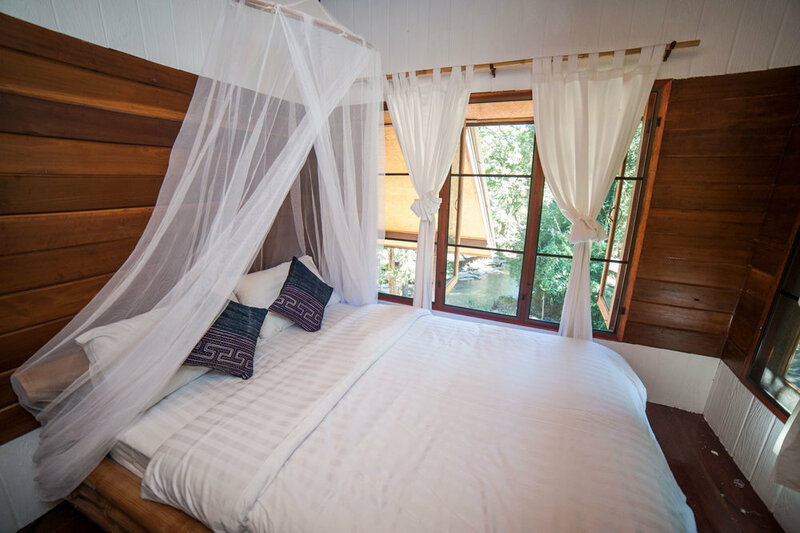 Click the link below to view all rooms on your dates or scroll to view the different options available. 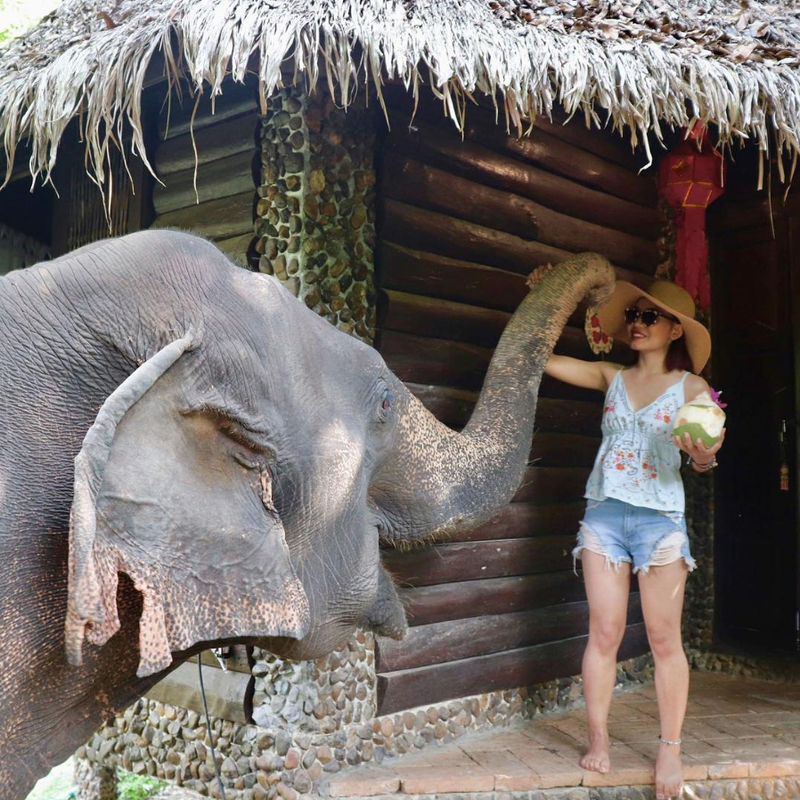 Experience our elephant happy hour! 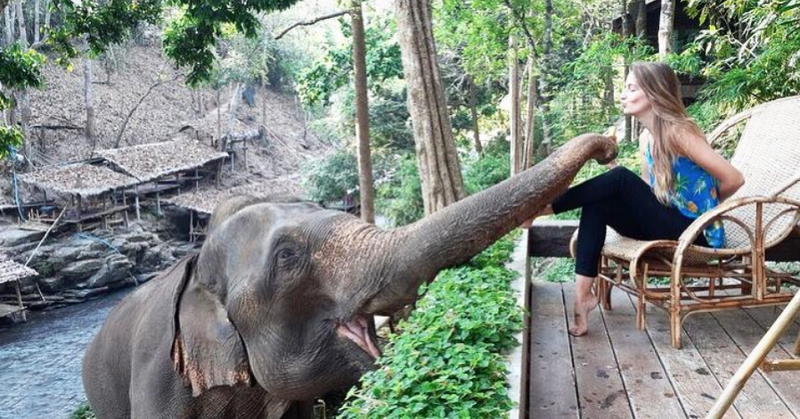 Every evening at our riverside cafe, we offer a special elephant happy hour for you and your elephant friend! 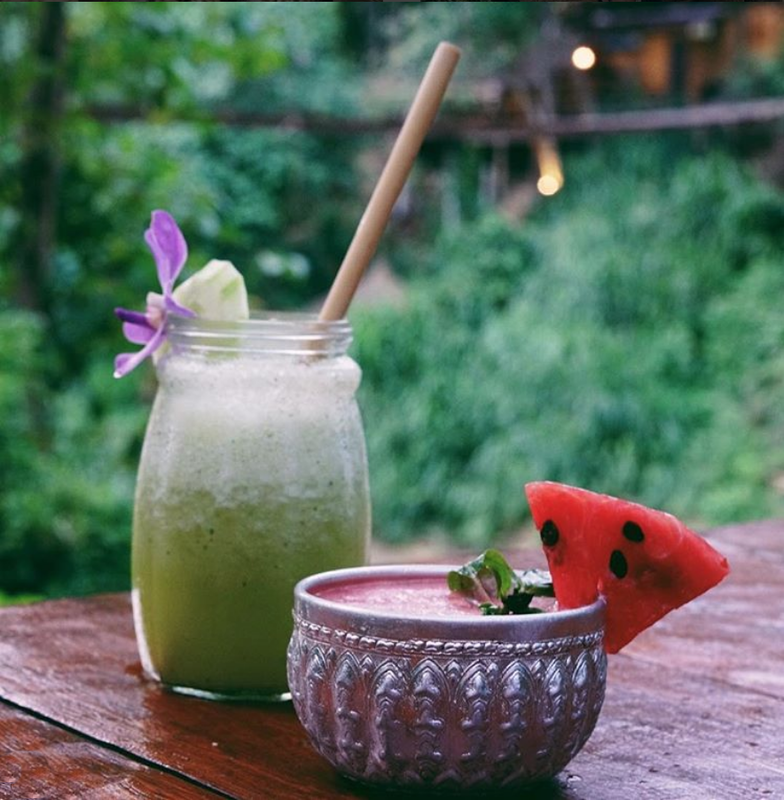 Buy two drinks get one free plate of fruit for your elephant to enjoy with you. 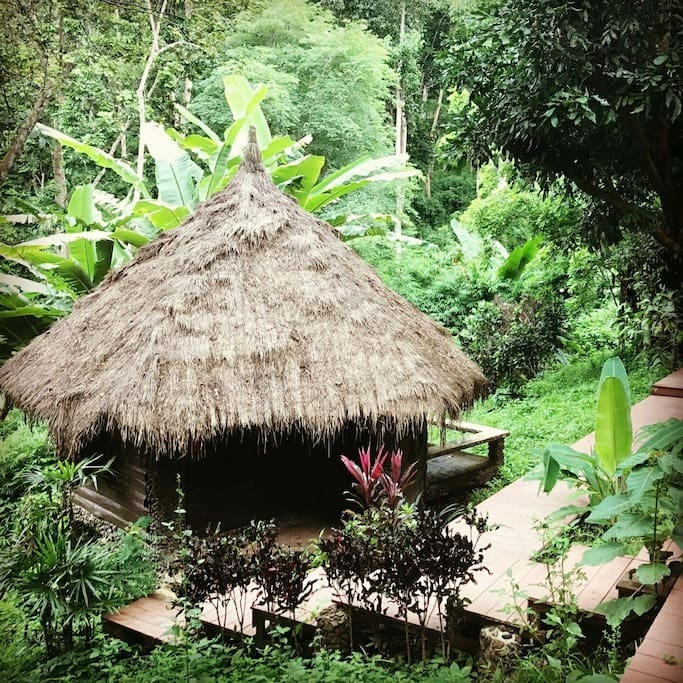 The Chai Lai Orchid Ecolodge property is owned by a local Lanna family and staffed by Daughters Rising trainees. For the security of our community room booking are done exclusively through airbnb. 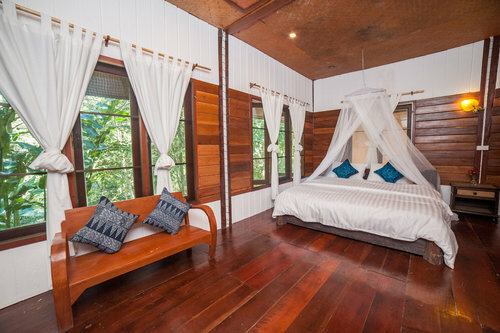 If you do not have an airbnb account please contact us by email.